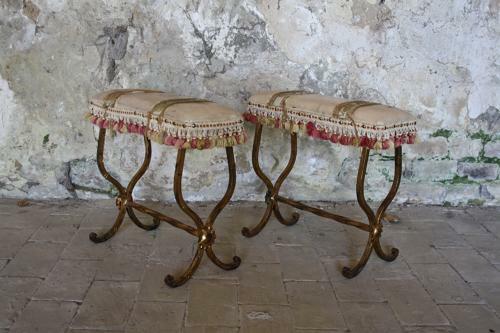 Very pretty pair of leather seated metal French stools with braiding and tassels which are held in place by original brass studs. Mid century. There is some damage to the upholstery but still an attractive pair!